Etched and hand-filled with black enamel, the Avignon Ballpoint Pen is as much a work of art as it is a fine writing instrument and will be savoured by those who appreciate fine craftsmanship and style without compromise. 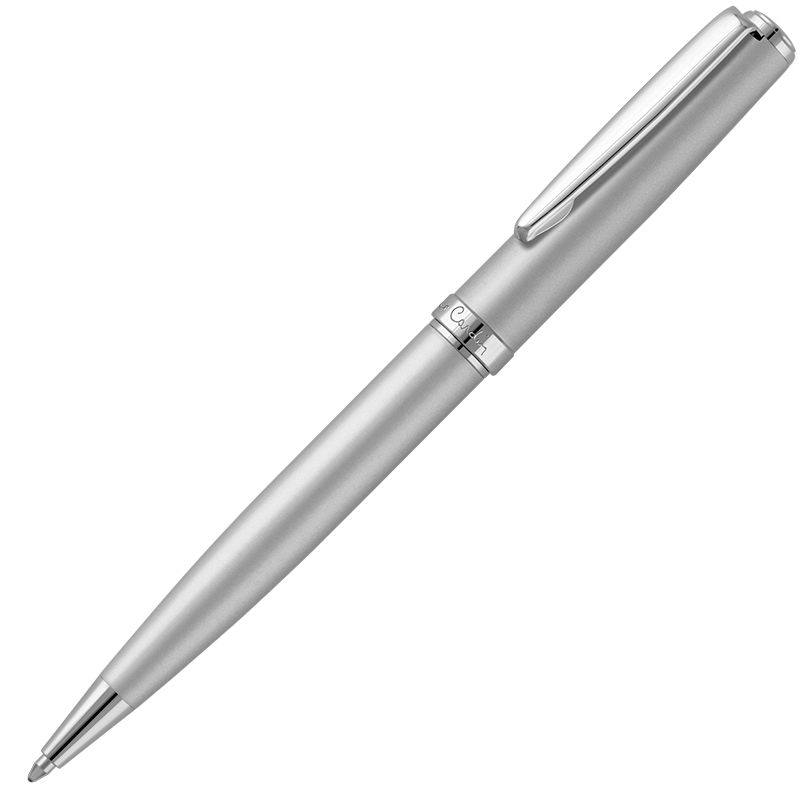 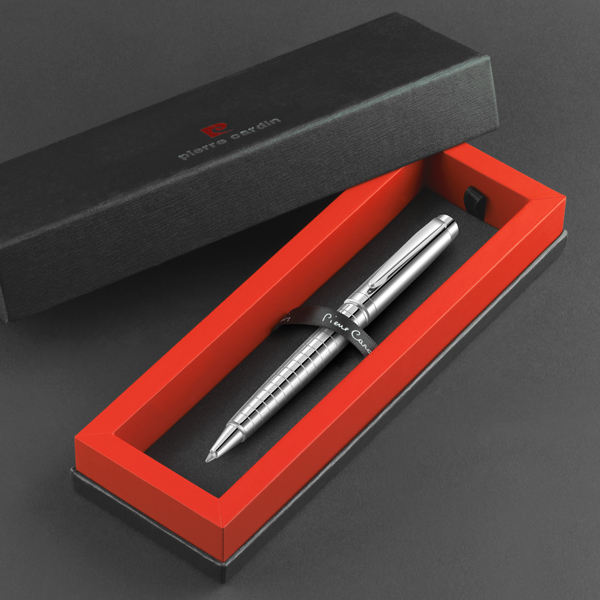 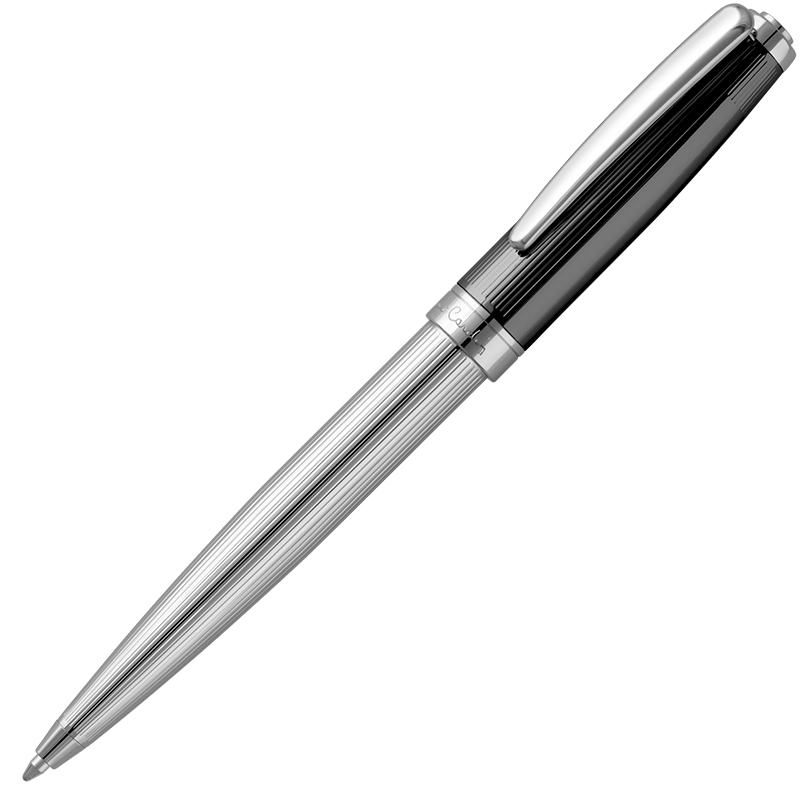 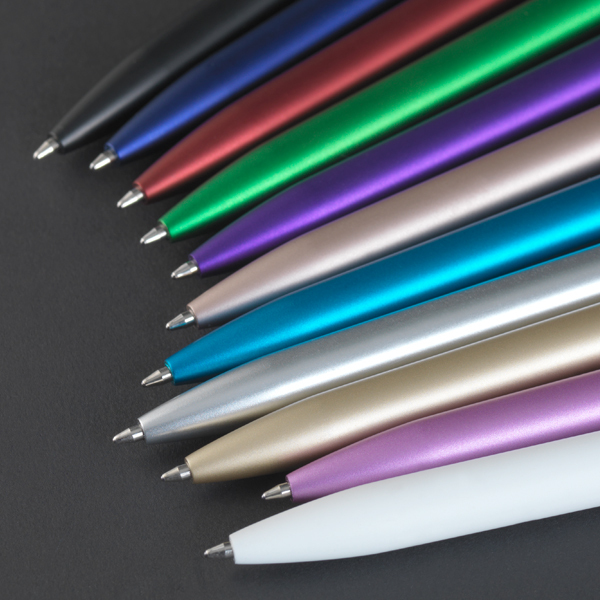 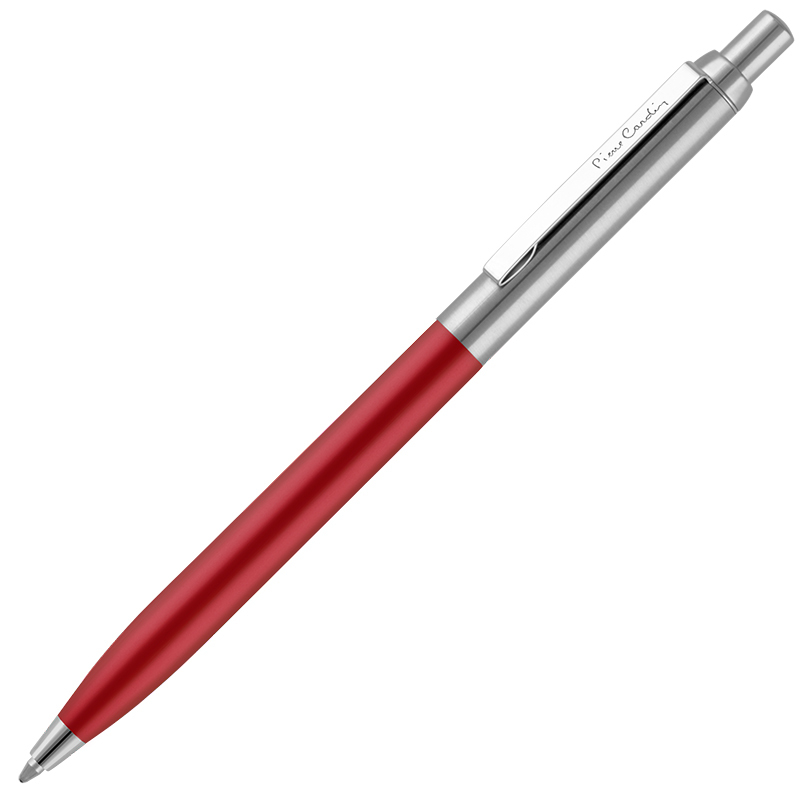 Each pen is finished in highly polished chromium plating, with heavy gauge brass as the base metal. 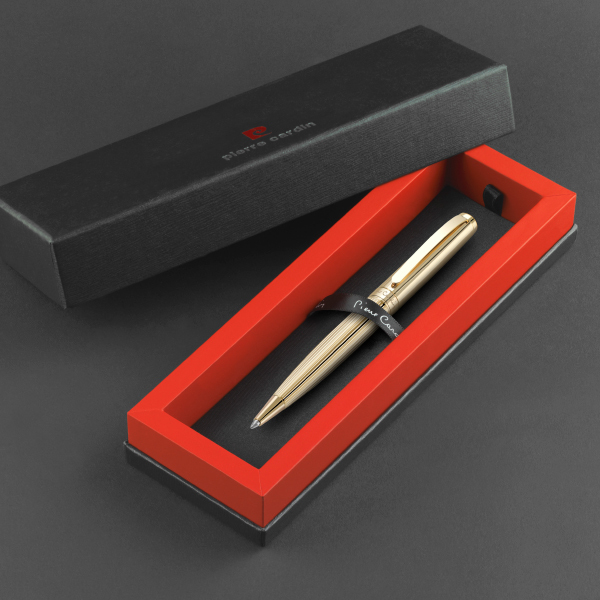 The clip is machined from a single ingot of brass, triple-plated and fastened to the body of the pen using tiny concealed rivets. The twist-action mechanism carries Pierre Cardin's signature movement that eliminates the tendency to retract during prolonged writing. 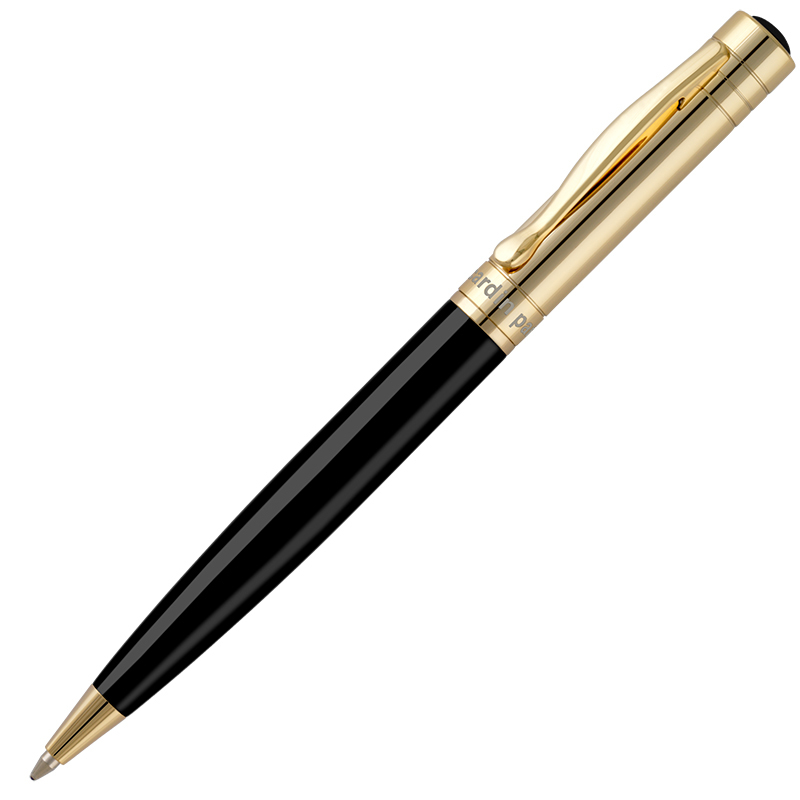 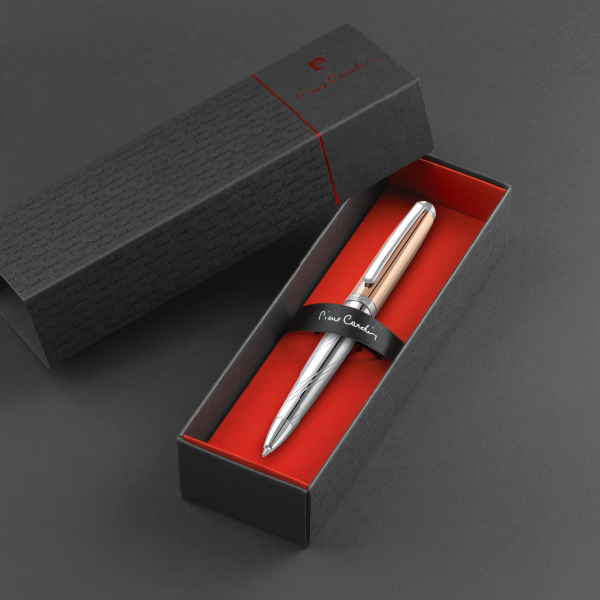 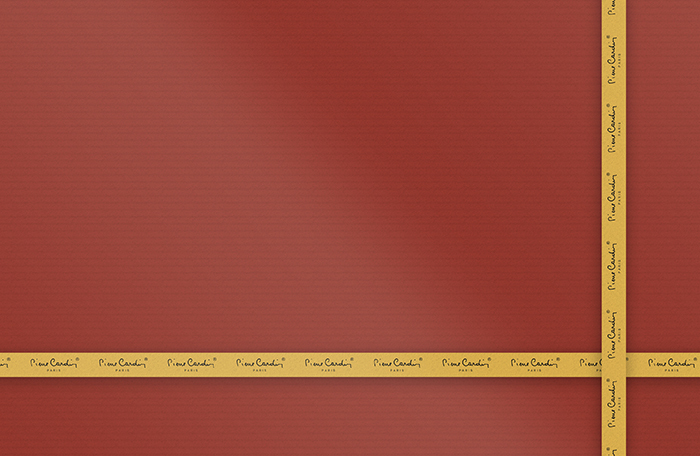 Excellence will also be found at the beating heart of the pen – the refill. 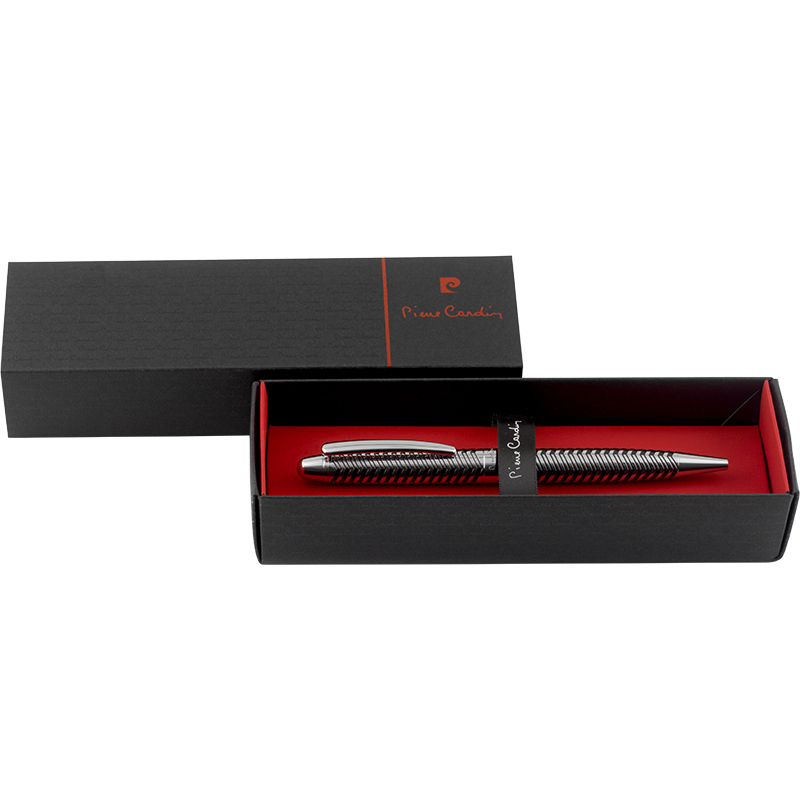 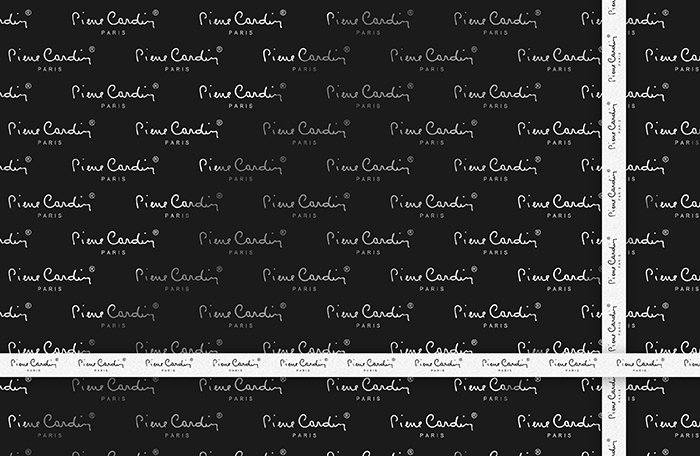 Pierre Cardin's long case refill is charged with German Dokumental™ ink and fitted with a tungsten carbide tip that provides in excess of four thousand linear metres of writing. 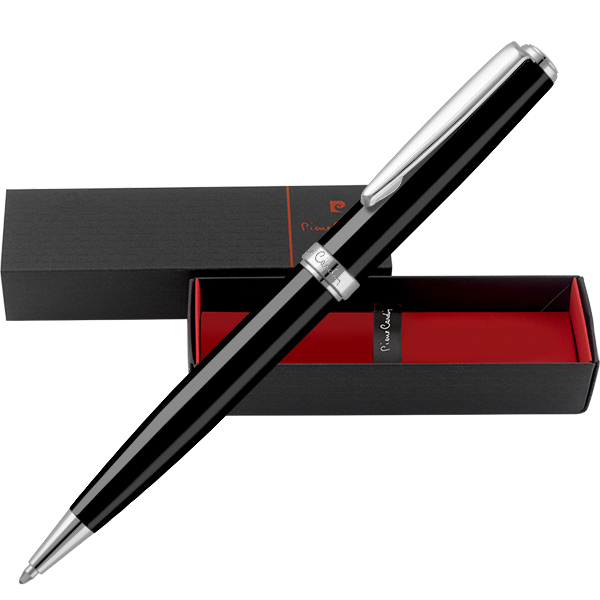 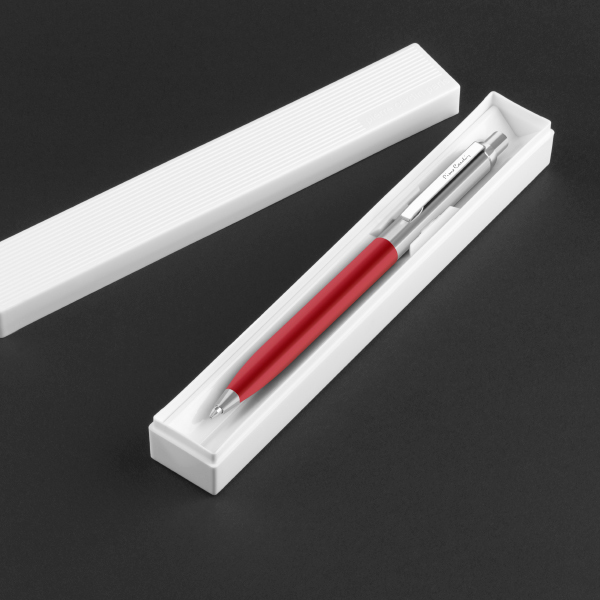 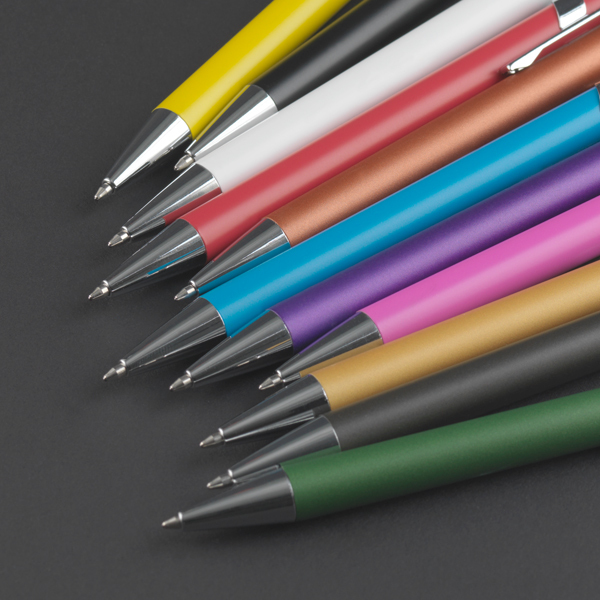 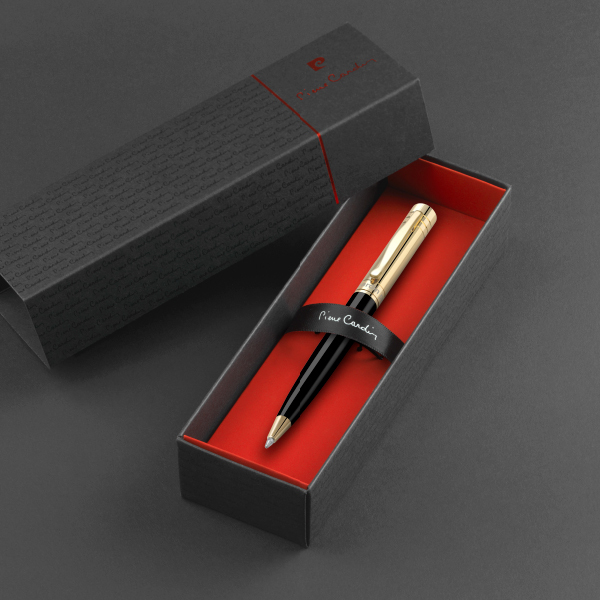 A plain panel is provided on the cap for personalisation or branding and we recommend laser engraving, chemically blacked to match the black etching on the pen casing. 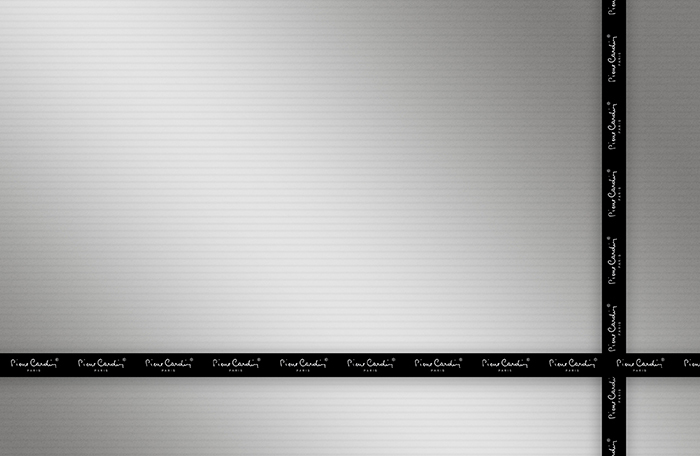 It looks simply stunning.